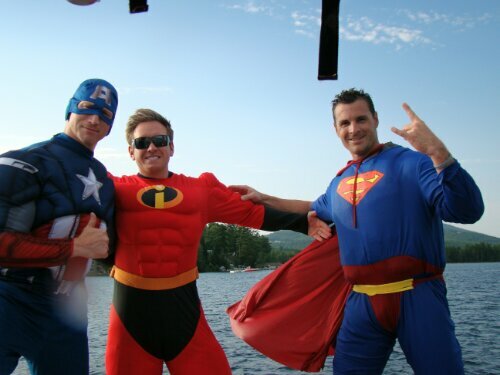 Gilford’s very own Superheroes were at the Winnipesaukee Waterski Marathon yesterday morning, thinking JOHN BRADLEY STRONG the whole way!!! Great picture of YOU THREE HEROES!!! Great picture of YOU THREE HEROES!!! Hoping Johnny is doing better. We’re praying for him.